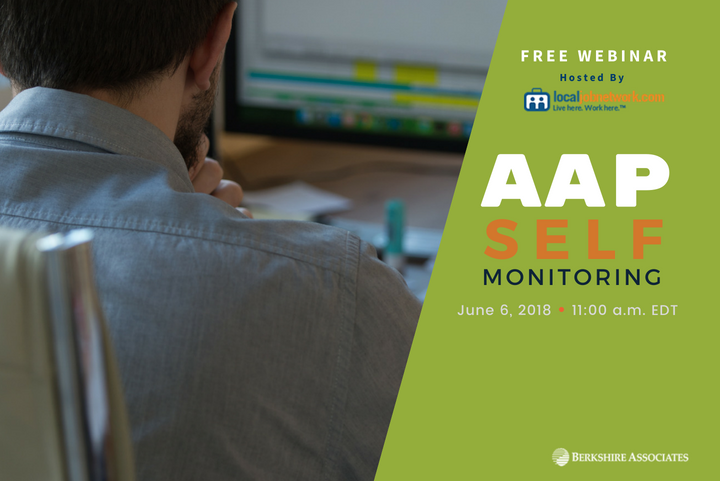 During this free webinar entitled “What Federal Contractors Should Know About AAP Self-Monitoring” Andrea will share the importance of mid-year reviews for federal contractors. Andrea will also share what contractors should look for to ensure success during reviews, particularly if the OFCCP comes calling with an audit. Click here to register and attend this informative webinar hosted by LocalJobNetwork on June 6, at 11:00 a.m. To learn more about this webinar, contact us at 800.882.8904. If you need assistance with affirmative action plan compliance, contact us at 800.882.8904 or bai@berkshireassociates.com.